Libyans commemorated the seventh anniversary of the revolution that toppled longtime dictator Muammar Qaddafi on February 17. Libya appears increasingly stable on the surface, with oil production rising and embassies returning to Tripoli. Negative trends will likely shatter this apparent progress in the coming year. The current stalemate in Libya will escalate to renewed conflict in 2018, exacerbating a humanitarian crisis, worsening regional instability, and empowering U.S. enemies and adversaries. Libya is in a period of superficial calm that obscures condition-setting for a renewed struggle over power and resources. The 2014 civil war between eastern and western coalitions has evolved, not ended. Coalitions are fragmenting and realigning. The strengthening of independent militias is increasing tensions and worsening social divisions in key localities that will determine Libya’s broader stability. Militants are reactivating an insurgency in Benghazi, the largest city in eastern Libya, as would-be strongman Khalifa Haftar struggles to control a fractious coalition that is alienating parts of the population. Tribal conflict resumed in Sebha, the regional capital of the southwest, as coastal powers extend their influence inland. Moderate and hardline forces are jockeying for control in Misrata, a military and economic center in the northwest. Tripoli, Libya’s capital, is subject to a competing web of militias and criminal organizations that wield influence over the anemic UN-backed government in the west. Citizens are protesting poor living conditions in multiple cities, and the number of Libyan migrants attempting to reach Europe is growing. The UN is pursuing elections as a panacea for the Libyan political crisis even as UN experts acknowledge that a peaceful solution is unlikely. Election preparations have already led to violence and repression. Libya lacks a constitutional framework for elections, a minimum requirement to prevent the post-election power struggles the country has seen before. Recent progress towards a constitutional referendum does not neutralize the multiple spoilers that are capable of preventing elections or delegitimizing their results. The Salafi militias overtaking the security sector are another block to free-and-fair elections, as well as a source of sectarian and ethnic conflict. Libya will dissolve into a renewed war—or several wars—in the absence of a significant course-correction, causing Salafi-jihadi expansion, increased migration, humanitarian crises, and regional destabilization. Elections, if they occur, will not resolve Libya’s political crisis and may lead to more violence. A victory by a polarizing figure, like LNA commander Haftar, could spark armed backlash akin to the 2014 parliamentary elections. The election of a weak consensus candidate, or the splitting of votes between regions, will preserve or deepen Libya’s current regional, political, and ideological faultlines. Armed groups may also move to secure their interests—and salvage fragmenting coalitions—by taking action before elections occur, making conflict over Libya’s major cities and oil resources increasingly likely in 2018. Salafi-jihadi groups in Libya, among them ISIS and al Qaeda, will regain momentum in 2018. ISIS is recovering from the loss of its coastal stronghold in late 2016 and has established a safe haven in central Libya. ISIS will conduct attack campaigns intended to derail Libya’s oil production and destabilize urban centers in 2018. It will also shift even more external attack planning to Libya as it loses freedom of movement in Iraq and Syria. Al Qaeda and affiliated groups in Libya, including Ansar al Sharia, are currently keeping a low profile following losses in 2016-2017. These groups will seize on the opportunity of local and national conflicts to regain influence by infiltrating and leading insurgencies in central and eastern Libya in 2018. The LNA’s campaign to seize Derna city in the northeast will also be a rallying cry for the al Qaeda network. The involvement of regional and extra-regional powers will prolong the Libya conflict. 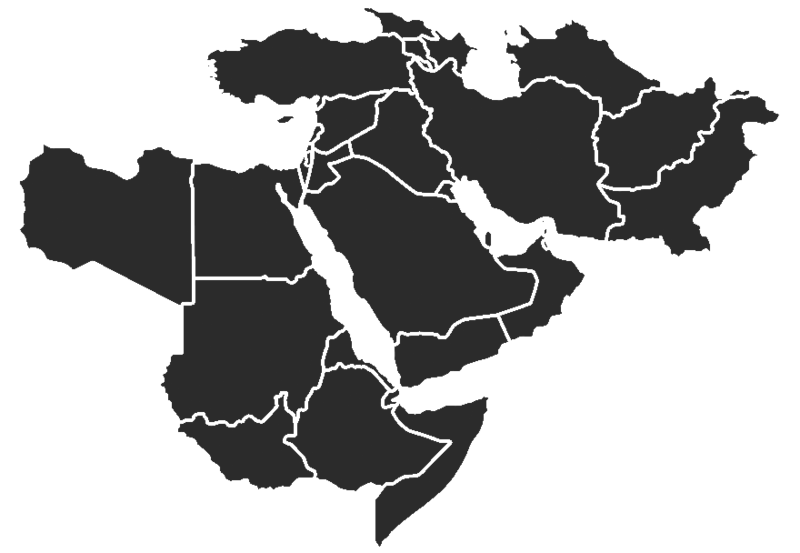 The UAE, Turkey, and Qatar will engage even more episodically in Libya as they prioritize wars and power struggles in the Levant, the Arabian Peninsula, and East Africa. Egypt, for which Libya is a higher priority, will still find its engagement limited by competing priorities at home and in the Nile River Valley. These states will periodically provide military, economic, and political support to their proxies in order to defend their interests in Libya, but will not dramatically escalate their involvement to a level required to resolve the conflict in their favor. Russia, which will prioritize Syria and Eastern Europe, will nevertheless seize the opportunity to establish a military footprint in eastern Libya, using counterterrorism operations as justification to gain another strategic foothold on the Mediterranean. The U.S. must recognize the coming dangers in Libya and develop a policy to change its course. Libya has not yet fallen off the brink. The U.S. should rally the international community behind a political solution to the Libya conflict and pressure regional states to cease military support for Libyan spoilers. Ending the Libya crisis will also require an overhaul of the Libyan security sector that includes both training and disarmament, demobilization, and reintegration programs. A smart intervention now could avert another tragedy for the Libyan people and put the U.S. in a position of strength against both terrorist groups and geopolitical foes in North Africa. Ethiopia may descend into widespread unrest following the resignation of Prime Minister Hailemariam Desalegn. The Ethiopian government declared a six-month state of emergency in response to continued protests and strikes by members of a marginalized ethnic group. The ruling party has not yet made sufficient concessions to the protesters. Unrest in Ethiopia has serious implications for regional stability and for the African Union Mission in Somalia, which relies in part on Ethiopian forces to fight al Shabaab. Al Qaeda emir Ayman al Zawahiri reiterated his call for the Muslim community to unite and establish shari’a-based governance. Zawahiri urged Egyptians to reinvigorate the Arab Spring and overthrow the secular government ahead of the upcoming Egyptian elections. He separately emphasized the need for groups in Syria to remain united amid new reports of splintering among al Qaeda’s Syrian affiliates. The Gonabadi Dervish protests in Tehran may result in the reignition of widespread anti-regime protests throughout Iran. Peaceful protests soon turned violent resulting in the imprisonment of 360 protesters and the death of at least five security officials on February 19. The renewal of widespread anti-regime protests may be forthcoming if the regime continues to squash peaceful assemblies and deny licenses for peaceful protests.